Another Vehicle Vs. Business Incident In #Sackville. Subway Edition. | Sack-Vegas!!!! Another Vehicle Vs. Business Incident In #Sackville. Subway Edition. 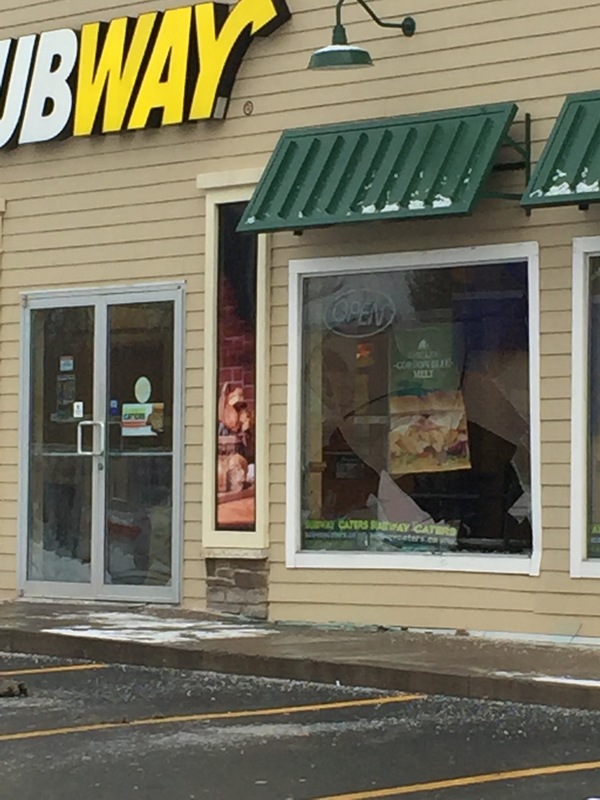 I am seeing reports a vehicle did this over at our Cobequid Subway. I hope the friendly morning crew down there are all O.K. as well as the driver. This happens way too much, really. I recall Goodlife Fitness getting it, a jewelry store (National?) and the Sackville Drive Esso with the Timmies. This is our second Sub place one, Kaisers took it many many years back. Update: closed for the day but fortunately no injuries.